In today's world online money transferring has gained popularity due to its quickness and easiness. Online method of payment has less hassles comparing to traditional cash operations. Apart from the most commonly used credit cards and debit cards, people nowadays prefer more convenient payment options, so called e-wallets. E-passporte is one the newest e-wallets, but one of the most popular. 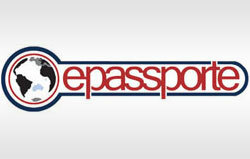 E-passporte is an online account allowing its users transferring money in a secure and easy way. E-passporte offers safe payment processing and wise money solutions. This is one of the most reputable e-wallets, as it provides its customers with constant support, the latest software for high level security while transferring or paying online. E-passporte offers a wide range of money operating services as many others e-wallets, but at the same it has some exceptional features, which differentiate it from many other online banking options. E-passporte can be easily funded with the help of Wire transfers or credit cards. In order to obtain the personal E-passporte account, you should visit the company's website and register there. It is very easy, as you just have to enter your personal data and create the E-passporte account. Afterwards, the important step would be to fund your newly created account with the help of abovementioned methods. Account information details are kept in a total privacy.